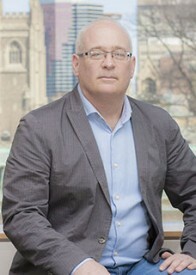 Robert Clegg Austin (PhD University of Toronto) is a specialist on East Central and Southeastern Europe in historic and contemporary perspective. In the past, Austin was a Tirana-based correspondent for Radio Free Europe/Radio Liberty; a Slovak-based correspondent with The Economist Group of Publications; and a news writer with the Canadian Broadcasting Corporation in Toronto. Austin has written articles for The Globe and Mail, The Toronto Star, Southeast European Times, Orbis, East European Politics and Societies and East European Quarterly along with numerous book chapters and two books published separately in Tirana and Prishtina. He has lectured widely in Europe and North America and was a Guest Professor in 2009 – 2010 at the University of Graz’s Centre for Southeast European Studies. His most recent book, “Founding a Balkan State”, was published with the University of Toronto Press in October 2012. At CERES, he coordinates the Undergraduate European Studies Program, the Hellenic Studies Program and the Hungarian Studies Program. Founding a Balkan State – Albania’s Experiment with Democracy, 1920 – 1925. Toronto: University of Toronto Press, 2012. Revolucioni i Ikur (English Title: The Disappearing Revolution). Prishtina: Koha, 2012. “Transitional Justice as Electoral Politics” in Nadya Nedelsky and Lavinia Stan, Eds Post-Communist Transitional Justice: Lessons from 25 Years of Experience. Cambridge: Cambridge University Press, 2014.